PLUS Wustof Dreizack, Bachmayr Kitchen Devil etc. Most chefs prefer an inclusive angle of 25 degrees on double bevelled knives. But we can vary to suit any chef’s requirements. We sharpen both sides of a double bevelled knife at the same time, therefore this will produce a burr free edge. The machine has two pairs of grinding wheels which are counter rotating this produces a dead central cutting edge and both bevels being exactly the same. Therefore the knife will cut perfectly. The machine we use is the “BDK 3702905”. This is encased in stainless steel and complies with the CE and can, therefore be taken into any kitchen environment. We do offer a sharpening service to Restaurants, Kitchens, Schools, Colleges, Nursing Homes within 100 miles of Manchester. 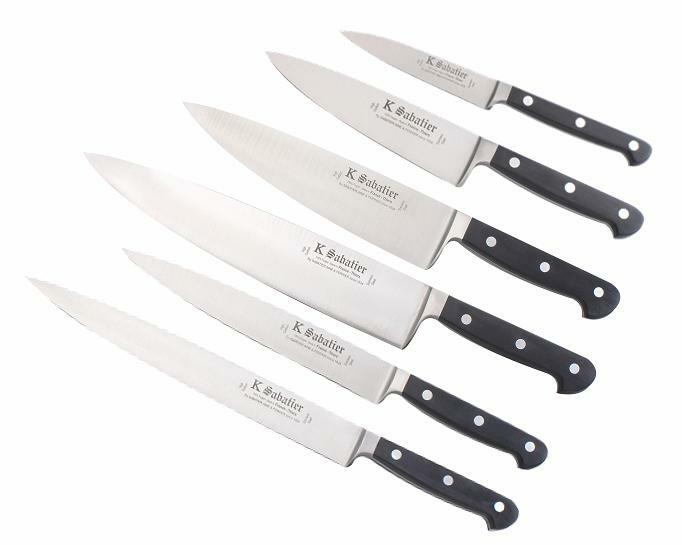 Starting at £2.50 per knife sharpened in your kitchen. We usually grind them at a 25 degree inclusive angle as preferred by “top” chefs. Our current customers include: The Dungeon Ghyll Hotel- Langdales , Cumbria, The Red Lion in Burnsall Village (nearby) and many restaurants throughout the Lake District including: The George in Penrith, The Armathwaite in Bassenthwaite, The Lodore in Borrowdale and the Swan in Newby Bridge and nearer to home the beautiful Italian Restaurant “Fresco Fresco” in Croston. All of these knives are sharpened monthly. Some hospital kitchens also avail themselves of my services. 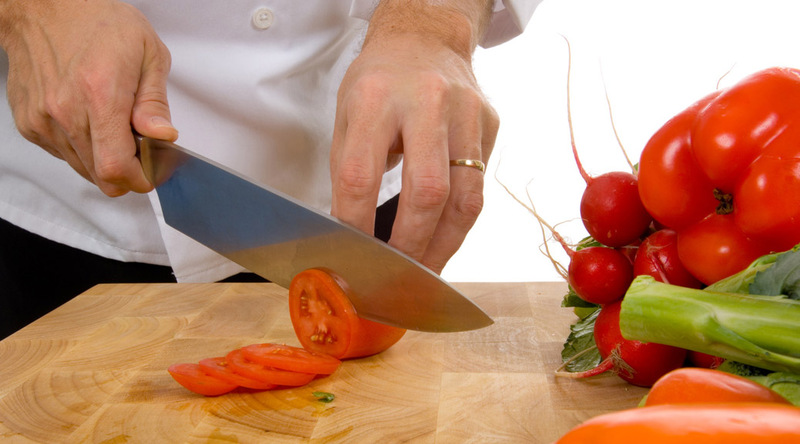 REMEMBER A BLUNT KNIFE IS MORE DANGEROUS THAN A SHARP KNIFE (more pressure is needed to cut and the chef is prone to slip resulting in an accident).